Authentic information, rather than 'agenda interpretation', makes analysis credible, meaningful and useful for a nation to understand, decide and act. Hence let us get the basics right and then examine the fundamentals. The sole motto of Pakistan, post-1971 defeat and disaster at the hands of the armed forces of India, is revenge through religious jihad by the jihadists. Shuja Nawaz, the author of the magnum opus on the Pakistani Army, Crossed Swords, has observed that the number 786, which represents the numerological equivalent of the opening sentence of the Quran, is also the "identification number for the General Head Quarters of the new Pakistani Army". The writing on the wall was too transparent to be ignored by India. The defeat, followed by surrender - resulting in the loss of the eastern wing of the Islamic state of Pakistan at the hands of un-Islamic India in December 1971 - made the Army-ISI duo of Pakistan take a vow of revenge. It was assessed, and appreciated, that no revenge can be successfully carried out through conventional warfare, owing to the superiority of India's man power and material inventory. The assessment and planning concluded a perpetual war of attrition through indirect, irregular and unconventional methods and tactics. The fighting machine of India had to be destroyed without fighting. And the people of the enemy country, must be won over through various means of " Taqiya Kalam", implying deceit, cunning, lies and the "charm offensive" and through the enemy's gullible, divided and vast civil society, a portion of which inevitably resorts to 'could-not-care-less' and 'as-long-as-I-am-not-affected' attitudes, and with the army-ISI recruited, financed, trained and deployed terror pool of unemployed and radicalized young people. After the 1971 war, Pakistan's military ruling class, the army, made a final assessment that it would be futile to take on the war machine. Instead, it could resort to an indirect approach by permanently targeting Delhi's two principal border states, Punjab and Rajasthan, which is the largest quality reservoir of fighting men filling combat ranks of at least five of the 23 infantry regiments of the Indian army: Rajputana Rifles, Rajput Regiment, Sikh Regiment, Sikh Light Infantry and the Punjab Regiment. In this venture, the Pakistani army-ISI duo's job became easier, as it so often happened in the past, as few notoriously unscrupulous and corrupt Indians in public life have been conniving, conspiring and colluding with foreign invaders even today. Thus it certainly would not be incorrect to suggest that for the spread of the drug trade, particularly to the districts of Punjab and Rajasthan (located close to Pakistan), which are traditional soldier-recruitment (catchment) areas, some Indians have a deep nexus with Pakistan's nefarious activities, thereby posing a direct threat to the safety and security, and the unity and integrity of India. Critical republicanism - Can Hindu liberals criticize Muslim bigots? In March, 1937, M.K. Gandhi published an article entitled "Need for Tolerance". This was in response to a letter he had received from a Muslim friend. This man, a liberal and sceptic, wondered why, when referring to the Prophet Mohammad or the Koran, Gandhi never analysed them critically. "I am at a loss," he wrote, "to understand how a person like you, with all your passion for truth and justice, who has never failed to gloss over a single fault in Hinduism or to repudiate as unauthentic the numerous corruptions that masquerade under it, can holus-bolus accept all that is in the Koran." The friend was "not aware," he told Gandhi, "of your ever having to called into question or denounced any iniquitous injunction of Islam. Against some of these I learned to revolt when I was scarcely 18 or 20 years old and time has since only strengthened that first feeling." Gandhi held the view that only adherents of a particular faith had the right to criticize its precepts or sanctions. By that token, it was both his "right and duty to point out the defects in Hinduism in order to purify it and to keep it pure. But when non-Hindu critics set about criticizing Hinduism and cataloguing its faults they can only blazon their own ignorance of Hinduism and their incapacity to regard it from the Hindu viewpoint. ... Thus my own experience of the non-Hindu critics of Hinduism brings home to me my limitations and teaches me to be wary of launching on a criticism of Islam or Christianity and their founders." Critics from within had the capacity and empathy to reform and redeem their faith; critics from without the tendency to mock and caricature the other's faith. Gandhi thus concluded that it was "only through such a reverential approach to faiths other than mine that I can realize the principle of equality of all religions". Leftists Scuttled Settlement On Ayodhya. But What Lies Beneath The Babri Masjid Site? Sandipan Deb, Sandipan is the Editorial Director of Swarajya. Recently famed archaeologist KK Muhammed stated in his autobiography ‘Njan Bharatiyan’ that leftist historians and a section of media inflated the Ayodhya issue, ignoring chances of settling the matter in an amicable way. Muhammed was among the members from Delhi School of Archaeology who joined the excavation team of Ayodhya headed by Prof VB Lal. Sandipan Deb, Editorial Director of Swarajya magazine, entered the heavily guarded Ayodhya excavation site in May 2003, and wrote about what he saw there in Outlook magazine, of which he was then the Managing Editor. Republished with permission. ‘ 245.’ ‘ 175.’ ‘ 160.’ Numbers are the only words being spoken on a pitilessly hot afternoon here. Here, the flat top of a low hillock, the epicentre of a political earthquake whose aftershocks never die, whose waves never peter out. Dozens of people work quietly with picks and shovels, whisks and dustpans, probing into the earth for the secrets it has concealed for centuries, secrets that, when uncovered and understood, could impact the lives and minds of a billion Indians. But when you look at the workers’ nonchalant faces, periodically calling out some measurements, you get no such sense. They are just doing their job. Ayodhya, May 2003. For more than two months now, following the order of the Lucknow bench of the Allahabad High Court on 5 March, the Archaeological Survey of India team led by Dr B.R. Mani (ordered by the court to be replaced on 22 May) has been excavating the land on which the Babri Masjid had stood from AD 1528 till 6 December, 1992. The roughly 41 m by 24 m area is now a grid of 4 m by 4 m trenches, each trench separated from the adjacent one by 1 m strips forming what archaeologists call “baulks”. Aluminium ladders extend into the trenches. Every find in every trench is photographed, the recovery, the packing and sealing process videographed meticulously. Entry into the excavation site is seriously restricted. The security is almost impossible to breach. Apart from the ASI team, only observers appointed by the court and nominees of the litigants in the various cases relating to the Ram Janmabhoomi issue are allowed in. All the permitted visitors have to carry passes issued by the Allahabad High Court. They enter through a gate separate from the one used by the pilgrims, the darshanarthis of Ram Lalla. The pilgrims reach the makeshift structure where Ram Lalla sits through a long cage-like corridor that winds through the excavation site. Not only does the pilgrim have any way to enter the excavation site—he would have to cut through the steel rods of the cage walls to do that—he cannot even see what’s going on outside his cage. To keep the excavation totally concealed from the public eye, the walls of the cage have been covered from roof to ground with dark-red curtains. And there are policemen patrolling the cage to make sure no one is peeping. Every evening, shortly after six, when the excavation work stops, an ASI official comes to a small enclosure to read out a list of the finds of the day to the official observers. The observers spend their day in this enclosure, cooled by the blast from an air cooler and heated by their constant arguments about the meaning and significance of whatever has been gleaned from the earth recently. They are shown the smaller artefacts recovered that day, but no one is allowed to touch anything. Sometimes, when they have interesting photographic evidence, the ASI brings in a screen and projects pictures on it. How will the Indian security establishment deal with the threat of corruption at India’s borders? Fears that corruption at the Indian borders facilitates terrorism in the country have once again been confirmed. There is a strong suspicion of locals having provided logistical support to Jaish-e-Mohammad (JeM) terrorists who attacked the Pathankot airbase earlier this month, and a few weeks before, an ISI-sponsored spy ring involving personnel from different agencies was also busted. The two incidents have corroborated the concern that the fence may be eating the crop by conniving with terrorists, drug traffickers and smugglers from Pakistan and illegal immigrants from Bangladesh. The apprehension that a nexus of corrupt policemen and unscrupulous jewellers and drug traffickers may have helped the JeM terrorists cart huge cache of arms and explosives into Pathankot airbase looks much more credible considering that the terrorists were armed to teeth with guns, magazines, explosives and yet carried backpacks stuffed with food packets and medicines. The natural question thus would be that how could the terrorists jump over a ten-feet-high perimetre wall with an extra two-feet-high concertina wire, stretch the encounter to two days and yet have magazines and enough explosives to trigger blasts after the gun-battle? But the connivance allegation should come as a surprise to nobody. After all, corruption at borders is not a new phenomenon. It has been reported at least for over a decade. Right from Mumbai to Punjab to Jammu & Kashmir, the names of personnel from Border Security Force (BSF), Indian Air Force (IAF), Indian Army, Customs, Coast Guard, Rashtriya Rifles and police have figured in numerous cases of collusion with terrorists and smugglers. The courts have sentenced 10 officials of Maharashtra Police and Customs Department for the 1993 Mumbai blasts which left a trail of blood and gore in the megalopolis. There is a recorded conversation between Tiger Memon, the mastermind of the ‘93 Mumbai blasts and blasts accused Taufique Jaliawala where it transpires that there was an exchange of Rs. 2.2 million bribe between arms smugglers and the customs officials before the huge cache of arms and explosives including 1.5 tonnes of RDX, hundreds of assault rifles, pistols and grenades landed on the Konkan coast on February 3 and 7. Over a month later 13 serial blasts claimed 257 lives and maimed around a thousand people. In March 2007, what was seen as a rehearsal before 26/11 Mumbai attack, Coast Guard allowed eight Lashkar terrorists to sneak into Mumbai from Karachi through the sea route for a ‘consideration’. The terrorists, trained in guerrilla warfare, were intercepted while travelling in a boat but were let off after alleged payment of the bribe. The terrorists reached Jammu & Kashmir by train from Mumbai and were subsequently arrested by the security forces in Rajouri (Jammu & Kashmir). Two of the terrorists – Abdul Majid Araiyan and Jamil Ahmad Awan – are currently lodged in Jammu jail while not much is known about their colleagues. In Punjab, no less than Chief Minister Prakash Singh Badal has accused the BSF, manning the over 550 km long International Border, of not doing enough to check trafficking of narcotics into his state. Published Thursday 14 January 2016 We stand on the brink of a technological revolution that will fundamentally alter the way we live, work, and relate to one another. In its scale, scope, and complexity, the transformation will be unlike anything humankind has experienced before. We do not yet know just how it will unfold, but one thing is clear: the response to it must be integrated and comprehensive, involving all stakeholders of the global polity, from the public and private sectors to academia and civil society. The shocking extent of financial inequality around the world has been laid bare by a new report from Oxfam. It found that in 2015, 62 individuals owned as much wealth as the poorest half of the world's population. It also criticised the amount of money being kept in offshore tax havens. That comes to an estimated $7.6 trillion - more than the GDP of the UK and Germany combined. This chart shows global wealth of the bottom 50% and 62 richest individuals from 2001 to 2015. Its setting may be remote, but the annual Davos summit always seeks to reach out and grip the forces and events propelling the planet. The backdrop of market turmoil on day two made this quite clear, as world leaders across disciplines mixed spot analysis and long-term perspective. Here are the themes and developments that rose over the Alps. Because every economy feels the impact of business unrest in China, several panels focused on the outlook there. In a special “Global Financial Priorities” conversation with journalist Thomas Friedman, US Treasury Secretary Jacob Lew cited China’s need for a mix right now between old and new, the capital expenditures and operational ones, capex and opex. In the “How to Reboot the Global Economy?” panel, Professor Joseph Stiglitz observed that China has been the world’s growth engine for 15 years, and the last seven in particular. “It should have been obvious that it wasn’t going to continue, but markets are always short-sighted,” he said. Stiglitz pointed to Brazil and Africa’s reliance on Chinese demand, as well as a transition to service economies in the US and Europe as reasons behind recent market drops. China and India are gradually assuming leading positions at the global and regional levels, with over $11 trillion and $2 trillion in gross domestic product respectively. China initiated a comprehensive plan for expanding its footprint in Asia, Europe, and Africa through its Silk Road and Asian Infrastructure Investment Bank. China’s leaders called for “protecting interests abroad” at the the 4thforeign affairs work conference in November 2014 and in their May 2015 white paper on defence strategy. At the May 2014 CICA (Conference on Interaction and Confidence Building Measures in Asia) Summit meeting in Shanghai, President Xi Jinping called for Asian countries to look after their own security instead of depending on “outside” powers. The International Monetary Fund has recognized China’s currency as a reserve global currency and in doing so, expanded China’s voting power within the IMF from about 3 percent to nearly 8 percent, which both contribute to legitimizing China’s rise. India, under new leadership since the mid-2014 elections, has made “development” its primary agenda. In the 18 visits abroad in his first year as the Prime Minister, Narendra Modi had assiduously attracted investments and high technology for the successful “Made in India” campaign. During a speech in Singapore, Indian Foreign Secretary Subrahmanyam Jaishankar called for India to be a “leading” rather than “balancing” power. National Security Advisor Ajit Doval, at a speech in Mumbai, suggested that India should punch neither below nor above its weight but “appropriately” in international affairs. India had revised its “look east” policy to that of “act east” policy, which appears to be in consonance with the United States objectives in the Indo-Pacific region, in addition to similar perspectives on the global commons of maritime cyber and space domains. India’s relations with the United States, Japan, Australia, and European countries were strengthened further recently, specifically in defense and strategic fields. President Vladimir Putin also plans to redirect $3.3 billion in overseas investment into project bonds for infrastructure — ports included. Business leaders complain that the Russian government expects unusually short payback periods on their port investments, ranging from 3 to 5 years instead of the more standard 20 to 25 years. But the country's overarching financial crunch makes funding from overseas investors all the more vital. Specifically, the government and the United Shipbuilding Corporation (USC) have prioritized six shipyards to support military construction activities: Yantar and St. Petersburg on the Baltic Sea, Sevastopol on the Black Sea, Murmansk in the north, and Khabarovsk and Vladivostok in the east. Of USC's nearly 60 shipyards, these six complexes have some unique advantages as a target for federal and foreign investment. With the exception of the contentious Sevastopol in Crimea, which has been subordinated to USC since March 2015 and was authorized in December 2015 to repair naval surface ships and submarines, the other five are all under a special legal status to boost investment and construction orders. St. Petersburg's Shipyard Cluster alone is responsible for 70 percent of all export-oriented shipbuilding in Russia and nearly 30 percent of total shipbuilding. The remaining four shipyards can help improve personnel expertise and achieve greater scale. Murmansk and Khabarovsk are classified as "port special economic zones," which reduces the tax and customs burdens on firms established there in relevant industries. Yantar, also a "special economic zone," is under an older regime meant to boost investment as a whole in Kaliningrad. And since October 2015, Vladivostok has been a "free port" to incentivize businesses through streamlined registration, reduced taxes and tariffs, and simplified immigration protocols. This article originally appeared at Stratfor. SINCE he took over as China’s leader in 2012, Xi Jinping has been a busy globetrotter. Last year he visited more countries than Barack Obama, America’s president (14 against 11). Heedless of whether his hosts are powerful, puny or pariahs, he has flown everywhere from America to the Maldives and Zimbabwe. Mr Xi wants to project China’s rising power—and his role in promoting that—to foreign and domestic audiences. But until this week, he had not set a presidential foot in the Middle East. The trip, under way as The Economist went to press, began in Saudi Arabia (whose king, Salman bin Abdul Aziz, is pictured with Mr Xi). He then visited Egypt and was due to finish his tour in Iran. No Chinese president had toured the region since 2009. China’s leaders had worried about getting embroiled in the region’s intractable disputes. But China has a big stake in the Middle East. It is the world’s largest oil importer and gets more than half of its crude from the region (see chart). Mr Xi’s much ballyhooed “new Silk Route”, aimed at linking China and Europe with the help of Chinese-funded infrastructure, runs across the Middle East. Chinese companies are already building expressways and harbours there. The timing of Mr Xi’s tour is tricky. Tensions between Saudi Arabia and Iran are particularly high after Saudi Arabia executed a Shia cleric earlier this month and angry Iranians responded by storming the Saudi embassy in Tehran. But the lifting of Western sanctions on Iran on January 16th (seearticle) allowed Mr Xi to display even-handedness by visiting both countries, without upsetting Western powers. Mr Xi, like his predecessors, likes to present China as a non-interfering champion of peace. (Xinhua, China’s state-run news agency, said this week that the West’s “meddling hands” were “more of a mortal poison than of a magic potion” in the Middle East.) But Mr Xi is not keen to play a central role as peacemaker. China’s first “Arab Policy Paper”, released on January 13th, is a vague, waffly document. It talks of “building a new type of international relations”, but is devoid of new ideas. The diverging political context for extended deterrence in the Asia-Pacific, coupled with China’s perspectives on extended deterrence in outer space and cyberspace, has important implications for the United States. American deterrence focuses on dissuasion, seeking to influence opponents to avoid actions that would harm American interests. China sees deterrence as not only dissuasive, but also coercive, as a way to persuade opponents to follow actions that further Chinese objectives. China, given its lack of allies, engages in direct deterrence but also counters extended deterrence, since its coercive actions against Japan, for example, would require that dissuasive action be taken against the United States. For the United States, the issue in the Asia-Pacific is not direct deterrence versus extended deterrence. China will assess all American actions to grasp the essence of American deterrence, employing its diverse forces to signal its resolve and intentions. Chinese concepts of deterrence embody not only dissuasion, but the idea of coercing opponents to follow a course of action that accords with larger Chinese objectives. Western concepts of deterrence focus more on dissuasion, seeking to influence opponents to avoid actions that would harm American interests. The emphasis for China is not on deterrence in particular environments (for example, space or cyber), but rather on the use of those environments as a means of effecting more general deterrence. China sees itself as likely confronting the U.S. should it be compelled to consider the use of force against U.S. allies. The U.S. needs to consider whether it is possible to provide extended deterrence through space and cyber measures, to support allies in the face of Chinese threats and pressure. While there has been discussion about whether today’s security environment constitutes a “neo-Cold War,” the reality is that it is actually more complex than the Cold War. For most of the period between 1947 and 1992, the situation was largely marked by a bipolar balance, where the two major players created somewhat symmetrical blocs of allies, friends, and client states. Consequently, there was a potential for symmetric responses and signaling. As important, there was a perceived continuum of security that spanned conventional and nuclear thinking, linking the use of force in the former to the potential for escalation into the latter. It is within this context that “extended deterrence” took shape. Today’s world, however, is much more multipolar, so most states, including increasingly the U.S., have to consider more than just a single, highest priority contingency. Consequently, signaling is also more difficult, especially because there is no symmetry of relations and alliance networks. This is exacerbated by the spread of military operations to outer space and the cyber realm. That various activities are more open to consideration in space and cyber erodes the conceptual firebreak that marked the Cold War. China is often credited with taking the long view to achieve its strategic goals; however, that luxury may be coming to an end. There is an oft-quoted story about former Chinese Premier Zhou Enlai, who, when asked about the effects of the French Revolution on China, demonstrated the Chinese long view by answering, “It is too soon to tell.” U.S. strategists, on the other hand are often limited in their ability to plan beyond the current administration. They have watched China slowly grow in power, both militarily and economically, over the last few decades with an arguable long-term goal of displacing the U.S. as the dominant global power, all the while focusing their own efforts on wars in the Middle East. China has remained in the shadows of global security, rarely venturing out to address even regional challenges, hoping their gradual, long term, hegemonic rise would become a fait accompli. That hope may now be at risk. A booming population with scarce agricultural resources led Chinese leaders to adopt a One-Child Policy in 1979. While this policy mitigated exponential population growth and prevented a Malthusian catastrophe, the effect is an aging demographic that will weigh heavily on Chinese power/control in the coming decades. In short, a relatively small under-30 crowd will have to support a much larger over-70 crowd. The ramifications are already being felt. In 2012, China’s workforce decreased by 3.5 millionand is forecast to continue its decline. Some estimates indicate that by 2020 Shanghai, a city with almost 15 million people, will have a population in which fully one-third will be over age 60. Additionally, the Wall Street Journal estimates that by mid-century the population of China will consist of 186 single men for every 100 single women, a recipe for increased crime and dissension, (as well as a continued declining birth-rate). China’s ability to maintain a self-sustaining workforce is waning rapidly. China experienced a meteoric rise in its economy, reaching years of continued growth in excess of 10%. Those days are over. China’s most recent quarterly growth was just under 7%, with projections continuing to decline over the next decade and beyond. Why does this matter? If China wants to become a global power, it will need the funds to do so. That money must be used for external investment, military procurement, and continued infrastructure development. Sustaining the growth of China’s military and economic power will become more difficult, and will soon begin a slow and potentially unrecoverable decline. A third factor contributing to China’s slowdown is a phenomenon called themiddle-class trap, whereby a country transitions from a poor to middle-class economy through basic manufacturing and textiles. The difficulty lies in developing those skills to take industrialization to the next level, such as providing education and training for the new industries. China has been unable to develop its education infrastructure to meet its requirements. The wealthy are able to send their children overseas, and China sends over a quarter million of its students to US colleges and universities. However their inability to meet educational demand domestically will limit their ability to meet professional domestic requirements, thus limiting their ability to make the transition to an advanced economy. Basically, China is great at making “things,” but how much has China actually developed? Of course, as the middle class increases, and wages improve, industries in search of cheap labor migrate elsewhere, such as Indonesia, Malaysia, or Vietnam, leaving China in search of employees and incapable of continued development. While not inevitable, many Latin American countries such as Brazil have fallen into this trap. They cannot compete with countries with greater capabilities in more technology-intensive goods and services. Because like China, they have never developed the policies and institutional environment to make the leap to high-tech or industrial economic development-what is often referred to as industrial policy. In early December 2015 China conducted a launcher test of a new rail-mobile version of the DF-41 ICBM (intercontinental ballistic missile). This test involved the called cold launch system. This involves igniting the rocket motor after the missile is ejected from its launch tube with a gas charge. This means the launcher is not damaged by the rocket motor blast and can be reused. In this case the test ensured that the missile tube launch system, originally designed for road vehicles, also worked on a rail car. Moreover this test is a significant milestone for Chinese strategic arsenal because their biggest and most powerful nuclear missile can be now launched from a rail mobile and very hard to find platform. The DF-41 missile is successor of DF-31 which has a range of 10,000 kilometers, allowing it only to reach the west coast of the United States. The DF-41 is estimated to have range of 15 thousand kilometers and one missile can carry up to 10 warheads that can separate from the body of the rocket and target individual destinations in the final stage of flight (MIRV system), thus making defense much more difficult. Previously DF-41s were based in silos and road-mobile launchers. China probably obtained rail-mobile missile technology from Ukraine, which during the Soviet period was a manufacturer of the (now decommissioned) twelve Russian SS-24 rail-based ICBMs. However it should be noted that the Russians want to revive the concept by manufacturing five new ones called “Barguzin”. Each train will be able to carry six new “Yars” missiles and are supposed to be deployed by 2020. The “nuke trains” also known as “land submarines” first appeared during the Cold War era. The combination of high-speed mobility, launch cars disguised as civilian passenger trains, tunnel protection and secure reloading of missiles, coupled with multiple warheads, made the system extremely hard to find and counter. In contrast SSBNs (ballistic missile submarines) were always threatened by enemy hunter (SSN) submarines while the “nuke trains” were protected by sheer size of Russian territory and rail network. Sunni-Shia conflict and rise of ISIS have roots in the First World War Keith Jeffrey's new book cogently shows how 1916 was the beginning of the end of Western dominance. The facts numb the mind. During just eight months in 1916, the midpoint of the First World War, 2.2 million British, French and German troops perished on the battlefields of the Somme and Verdun in France. As Keith Jeffery writes in 1916: A Global History, Verdun became "a byword for the manifest horrors of industrialised 'total' war." In the battle of the Somme, the British suffered 57,000 casualties (its biggest ever in a single day). As the war dragged on, Indian soldiers bore much of the brunt. They were mercenaries, recruited in the 'defence' of the British Empire. Jobless in India or in poorly paid work, they were shipped to the frontline trenches to fight a bloody war between rival imperial European powers jockeying for global supremacy. The Indian soldiers were used as cannon fodder. They were paid well though and the wounded looked after in hospitals. After the war, some married local girls and stayed back in Europe. But the real story of Jeffrey’s book is the madness that overcame Europe exactly a century ago. 1916 also marked the end of the Ottoman empire which fought the war as an ally of Germany. In May 1916, Sir Mark Sykes and Francois George-Picot, a British and French diplomat respectively, divided the Arab Ottoman lands into zones of British and French influence. New names would soon be given to "countries" within these artificially drawn borders: Iraq, Syria, Jordon, Palestine, Saudi Arabia, Kuwait and so on. Sectarian sensitivities between Sunni, Shia, Kurd, Alawite, Yazidi and Druze were largely ignored. It was a bad, longstanding colonial habit. The British had divided Pashtuns across the Durand line between Afghanistan and Pakistan in 1893 – a problem that festers till today. They drew the McMohan line between India and China in a treaty with Tibet in 1914 that Beijing still refuses to accept. The division of the Ottoman lands a century ago sowed the seeds of the Sunni-Shia war that rages today in the Middle East. It also created fertile conditions for the brutal rise of the Islamic State (ISIS). Saudi Arabia in 1932 became the only country in the world to be named after a family – the al-Sauds. Abd-al-Aziz was proclaimed king and in 1933, his eldest son, Saud, named crown prince. In an odd cover story recently, The Economist interviewed 30-year-old Muhammad bin Salman, Saudi Arabia’s current deputy crown prince whom the magazine called King Salman’s “favoured son”. The Economist is a magazine that thrives on condescension. But with the young Saudi prince it was all tea and sympathy. Tough questions on the Saudi role in midwifing the Islamic State (ISIS) were delicately avoided. The overall tone was only mildly critical. Any other country that executes 47 people in one day, forbids women from driving and bars cinema halls would receive harsh editorial treatment from most independent-minded magazines. But not, on this occasion, from The Economist. Amid a roiling Middle East, Iran and Saudi Arabia are fanning the fires of sectarianism and playing politics in a zero-sum proxy war of religious fervor. Since the Iraq War, sectarian conflict between Shiites and Sunnis has emerged as a major fissure in Middle East politics — fueling conflicts in Lebanon, Syria, Iraq, and Yemen; a resurgence of extremism and the scourge of the Islamic State; and an escalation in tensions between Iran and Saudi Arabia which has become the most significant clash between regional rivals in decades. From country to country, across the region, sectarian conflict is the thread that runs through each crisis, tying them into a strategic Gordian knot. The common refrain in the West is that this is a 14-century-old feud we don’t understand. Even U.S. President Barack Obama said as much in his final State of the Union, calling the Middle East a place “rooted in conflicts that date back millennia.” The not-so-subtle implication, of course, is that this is the kind of religious politics the West has long left behind. It is true that Shiite and Sunni identities were formed centuries ago over a religious dispute. It is also true that Shiite-Sunni clashes are nothing new. But sectarianism should not be dismissed out of hand as an ancient feud that defies modern logic. The violent paroxysm in today’s Middle East is a modern phenomenon, a product of contemporary politics and priorities. Furthermore, it is playing out not in obscure theological forums but in the political arena. Sectarianism today is a perfect storm — the product of a confluence of factors at play in the region. The first culprit in stoking sectarian conflict is Islamism. This modern-day ideology, born in the 1930s, calls for an ideal Islamic state built on the foundations of Islamic law and sharia. The Islamic state is a utopian panacea that looks to religion to perfect modernity. But the Islamic state is not a generic idea, as it requires harkening to either Shiite or Sunni conceptions of Islam. Shiites and Sunnis each have their own methodology, interpretation, and practice of law. As such, there can be no such thing as a non-sectarian Islamic state. In a region in which Islam matters so much to politics, it is inevitable that the critical question then becomes “what Islam” and “whose Islam.” The rise of narrower and more extreme forms of Islamism have only exacerbated sectarianism. The founder of Iran’s Islamic revolution, Ayatollah Ruhollah Khomeini, learned this lesson the hard way. He fashioned himself as a pan-Islamic leader but was dismissed by a growing number of Sunnis as a Shiite cleric. He may have garnered political respect, particularly in standing up to the United States, but few Sunnis accepted him as their religious pole. While Shiites across the region were filled with pride and hope, Sunni Arab rulers looked for ways to quash expectations of change. Iraq’s Saddam Hussein famously responded to the revolution’s challenge by purging Shiites from the ranks of the Baath Party and putting to death the eminent Shiite cleric, Muhammad Baqir al-Sadr. Meanwhile, in Pakistan, then-President Zia ul-Haq also began to play politics with Islam, imposing a mandatory religious tax. But, emboldened by the Iranian revolution, Pakistan’s Shiites asserted their sectarian independence, refusing to submit to that country’s experiment with Islamic statehood. Zia soon capitulated, but resentful Sunnis recoiled at this diminution and started sectarian clashes and violence that has beleaguered the country to this day. Guest post by Joel Day and Scott Kleinmann. In his final State of the Union Address, President Obama made a forceful case for refraining from calling ISIS “Islamic,” saying, “We don’t need to build them up to show that we’re serious… by echoing the lie that ISIL is somehow representative of one of the world’s largest religions.” Republicans are quick to claim that“What ISIS Really Wants” is “extremely Islamic.” While the President’s approach highlights how far out of the mainstream these murders are, it is undeniable that ISIS and other such groups envision themselves as the vanguard of Islam. The fighters are serious about their Islamic identity. Not addressing the ideational foundations seems to completely misunderstand the enemy and mis-specify what is necessary to beat them. At stake here are not just semantics – real world policy prescriptions result from each side of this debate. Trump’s call for a pause on all Muslim refugees is an extension of the argument that ISIS is intrinsically Islamic. Those who downplay the religious link seem to suggest that “jobs” will magically end violent ideology. Serious policy must find a third way within this paradox, one which forces a serious discussion about the ideational nature of terror groups, while simultaniously delegitimizing them with religious audiences. Rather than secular, Western-funded twitter- shouting matches , we need programs with the goal of assisting religious community leaders in clearly articulating how ISIS distorts, distains, and defiles their religion. As Day argues in a current article in Perspectives on Terrorism, counter-extremism campaigns should get very specific about the Islamic doctrines and rituals ISIS fans leave behind in the radicalization process. Specific, practice-oriented counter-narratives (rather than mere condemnation of violence) ultimately build deeper, stronger religious institutions, directly refuting the cult-like detachment these terror groups have from mainstream Islam. Viewing these groups through the lens of practical theology is a unique way to bridge the gap in the “naming debate” – giving credence to the religious underpinnings of these groups, while refusing to legitimize their actions with the label of “Islam.” A practical theology lens would provide analysts a new way of evaluating patterns of terrorism. For example, a key observable pattern is that these groups actually segregate and exclude themselves from mainstream religious practice and create their own alternatives. In their treatment of textual interpretation, law, and authority, many terror groups extricate themselves from orthopraxis and orthodoxies. In the place of orthodox frameworks, ISIS affiliates are demanded to pledge allegiance, “bay’ah,” to al-Baghdadi, an arguably heretical “6th Pilar” of compulsary practice. The pledge of bay’ah severs relational ties to the Ummah and extricates a group from the practices that simultaneously bind and moderate. Examining the observable practices of these groups allows us to label them what they are: cults. Obama didn’t turn victory into defeat. There was no victory. In the fall of 1919, a year after the guns of the Great War fell silent, a senior British officer dined with the former German general Erich Ludendorff. The conversation turned to Germany’s recent defeat, which Ludendorff blamed on the home front. “Do you mean, general,” asked the British officer, “that you were stabbed in the back?” Ludendorff’s eyes suddenly lit up. “Stabbed in the back? Yes, that’s it, exactly, we were stabbed in the back.” And so was born the Dolchstoßlegende, or the stab-in-the-back myth. German conservatives claimed that the kaiser’s army hadn’t been defeated on the battlefield in 1918, but was instead betrayed by domestic anti-war groups. Much before the Arab Spring there were signs of unrest in the Saudi Kingdom. Periodically, Arab Bedouins have risen against the autocratic and often repressive kingdom that rules them. In fact, Osama bin Laden’s Saudi citizenship was revoked in 1992 because of his anti-kingdom movement, even as the Kingdom continued to fund al Qaeda. The House of Saud has always conducted diplomacy with guile and subtlety not like the proverbial bull in a China shop. Since the Arab Spring, however, signs of desperation seem to be increasingly visible in the conduct of the Saudi government. Their conduct is becoming increasingly uncharacteristic. Such public comments are not usual for intelligence agencies. Therefore, this release must obviously have been sanctioned by the German government though the foreign office later castigated it. The incident expresses the extent of European concern over where the US was leading them and how far they should go to allay Saudi fears. As a consequence, the Saudis have become even more desperate. Executing the Shia cleric Nimr al Nimr and 46 dissenters finally drew the world’s attention to what Saudis were up to in provoking Iran. Even as Prince Muhammed assures the world that Saudis are not seeking a war with Iran, the Saudis put four Iranians on trial for espionage/terrorism, which is likely to result in death. Since these individuals have been imprisoned for a couple of years, this decision at this juncture smacks of deliberate provocation. In the region, Saudis are engaged in overt aggressive conflict in Syria by creating the Army of Conquest, which consists primarily of al Qaeda affiliates and in Yemen against the Houthis. While neither of these ventures is likely to succeed, once again the vacuum created helps only al Qaeda and Islamic State (IS) all the while also upping the ante against Iran. WhatsApp has announced that it will no longer charge its users with annual subscription fees. The popular messaging app used to charge $0.99 per year after a free trial period of twelve months. The announcement, made official in a blog post on Monday, means that WhatsApp, or its parent company Facebook, is potentially forfeiting hundreds of millions in annual revenue. In the announcement, WhatsApp emphasized that today's changes will not affect the company's stance on advertising, meaning that there won't be any third-party ads in the app going forward. However, the company is exploring other ways of monetizing its huge user base, testing tools that will let users communicate with businesses and organizations via the app. A new think tank report takes Washington’s Asia strategy to task and suggests how to boost it. More than four years after it was first unveiled, the Obama administration’s pivot or rebalance to the Asia-Pacific lacks the necessary direction and resources to secure U.S. interests, a new think tank report released this week argues. 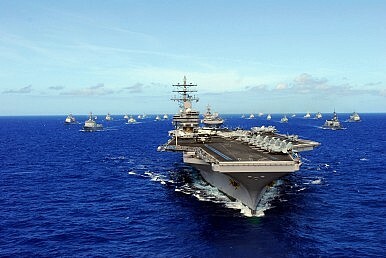 The report, an independent assessment commissioned by the U.S. Congress under the 2015 National Defense Authorization Act, notes that the United States has still yet to articulate a clear Asia-Pacific strategy and adequately resource it even in the face of rising threats to American interests, particularly from a more capable and risk-tolerant China. “[T]he study team is concerned that the administration’s rebalance effort may be insufficient to secure these interests,” the study, “Asia Pacific Rebalance 2025: Capabilities, Presence and Partnerships,” published by the Center for Strategic and International Studies (CSIS), argues. To address this, the report makes four sets of recommendations. First, given the confusion still heard about the rebalance strategy within the U.S. government and across the Asia-Pacific, it suggests better aligning Asia strategy at home and abroad through several measures, including preparing an Asia-Pacific strategic report, better aligning strategy and resources, and increasing administration outreach to Congress. “Addressing this confusion will require that the executive branch develop and then articulate a clear and coherent strategy and discuss that strategy with Congress as well as with allies and partners across the world,” the study argues. Second, with security challenges increasingly outpacing the capabilities of regional states, the report recommends strengthening U.S. allies and partners. To do so, it calls for a “differentiated strategy” that includes a federated approach sharing capabilities with highly-capable allies like Japan and Australia as well as boosting maritime security in less capable Southeast Asian states. It also suggests the formation of a standing U.S. joint task force for the western Pacific to establish clearer U.S. command and control relationships as well as deepening U.S. humanitarian assistance and disaster relief expertise and efforts in the region.